A week has passed since my mission teammates and I flew out of the United States headed for Cambodia. I started planning this trip with Jeanette Munoz (my missions coordinator) the moment I returned from Cambodia in November 2014. At certain times along the way, we wondered if we had enough people and resources to bring the vision of the trip to life. But yesterday, as our team sat together at Light Church, I recognized God had been doing more than we asked or imagined since the moment we began to plan. 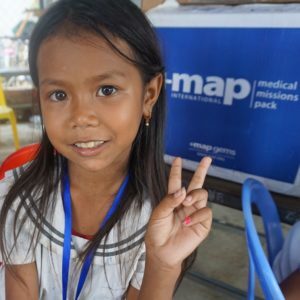 We had received our miracle supply of medicines from MAP International. 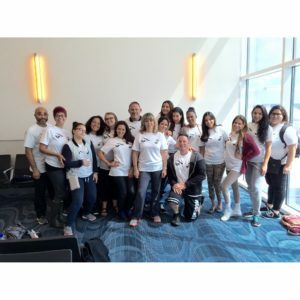 We had never worked with this organization before but they have been supplying medical supplies to medical mission teams since the early 1950’s. Last Monday morning, our nurses started opening the blue boxes we had received and repackaging the contents for our three clinic days. 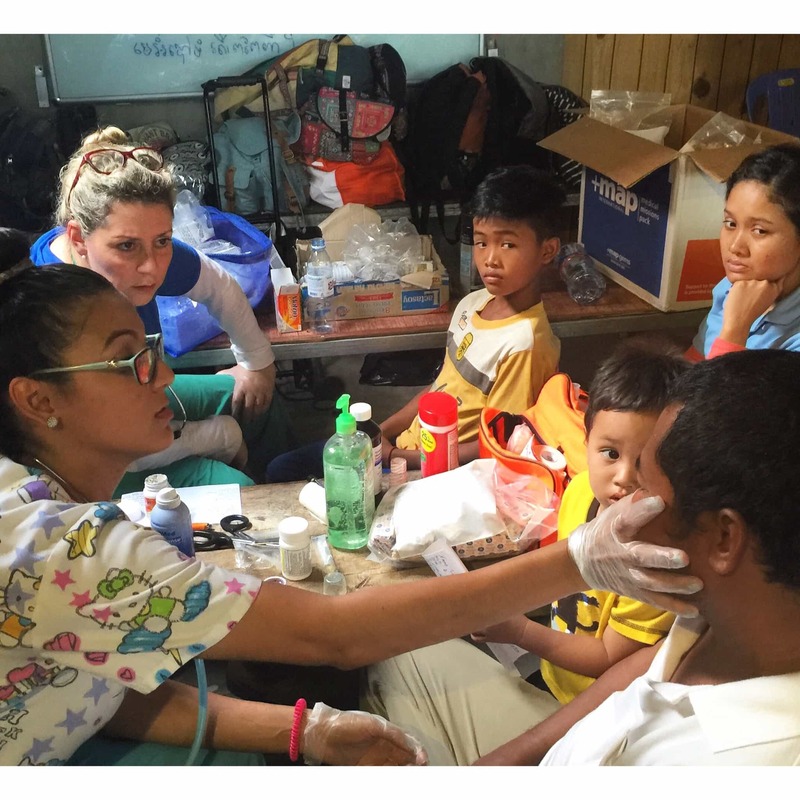 Our nurses worked tirelessly in less than perfect conditions to serve 270 children and adults. Many of the adults they served had life-threatening, chronic diseases. 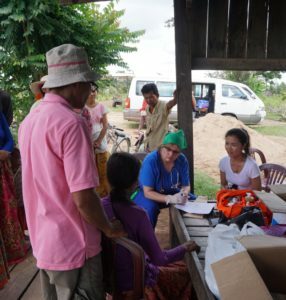 The first woman we served in Kratie Province was the most serious case the nurses encountered. In the photo below, Kathy is explaining to her that her symptoms indicate she only has a few weeks to live. The nurses prayed for her, along with Pastor Koy. 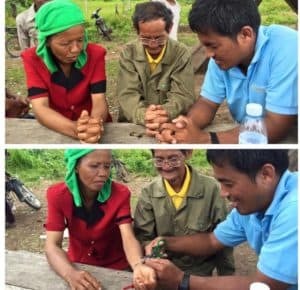 As a result of this encounter, she became the first person in the village to hear the Gospel message and the first person in this village to become a Christian. This was not the evangelism method Pastor Koy had envisioned when he first visited this village a few weeks ago, but God had another plan. The people in Kratie Province were so amazed by the love and compassion showed to them by our medical team that people remained crowded around the clinic for the entire day. The second couple that heard the Gospel message had been served at the clinic very early in the day. They had remained with our team throughout the day, watching everything that was happening. As we were packing to leave, they questioned Pastor Koy about why we were so loving and compassionate. They couldn’t understand why were served people in another part of the world for no compensation. When they heard his explanation, they asked how they could know this Jesus who had compelled us to serve. They asked Pastor Koy to come back and open a Bible study in their village and they cut off their ritual bracelets. Here are some additional photos of our nurses in action over the three days. 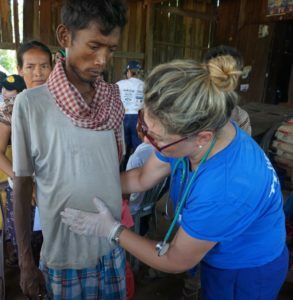 Not only did we provide primary nursing care to 270 individuals in the three days our mobile clinic was operating, we checked children for lice and offered lice removal treatment. Here is a short video of our lice removal “salon” at Light of Future School #2. We used a home remedy, a mixture of Listerine and water, applied to the hair and scalp with a spray bottle. After the mixture was applied, children sat for a minimum of one hour in a shower cap. Then, their hair was washed. Many of the girls received their first “french braid” hair style from one of our “salon stylists.” The lice were very unhappy, but the kids loved the results! 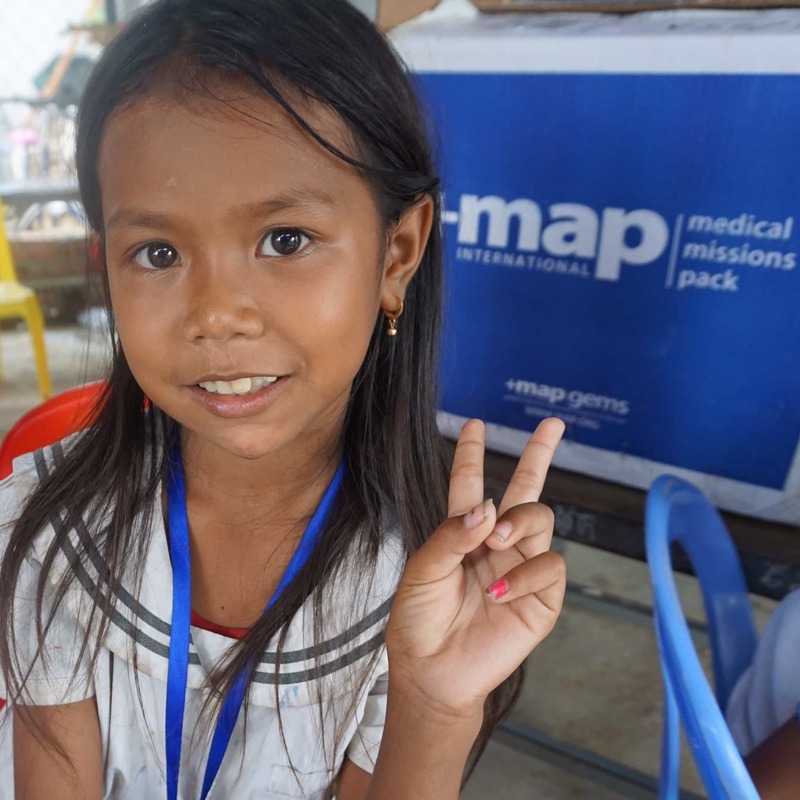 While our mobile medical clinic was operating, other members of the team were leading the kids in field games, art projects, and silly songs. 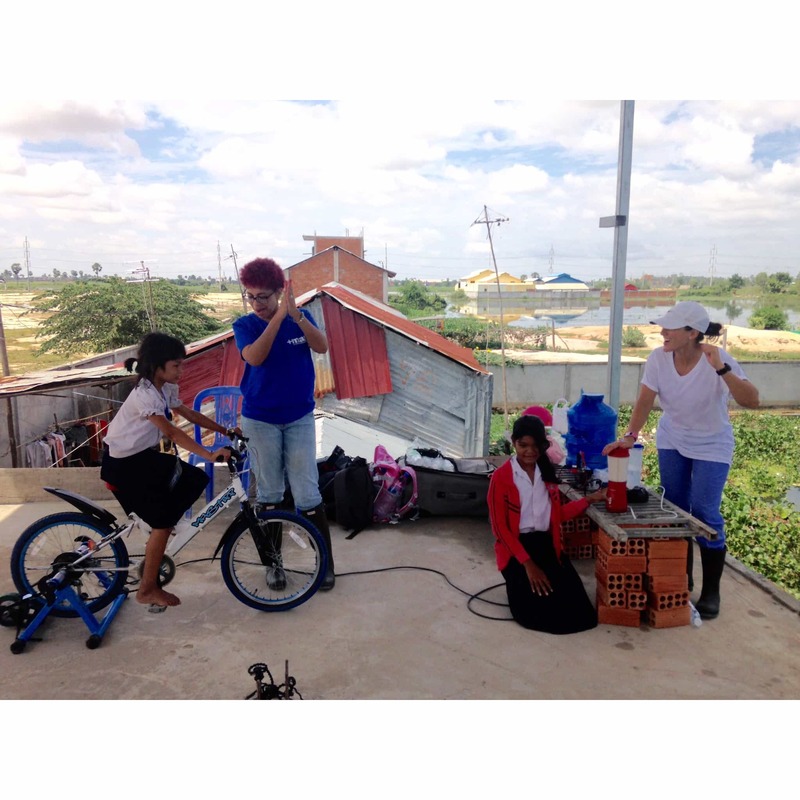 We also offered an STEM education component for the children using the KidPower2015 Bicycle Generator project. The kids were thrilled to make banana smoothies with the electrical energy they were generating with the bicycle. 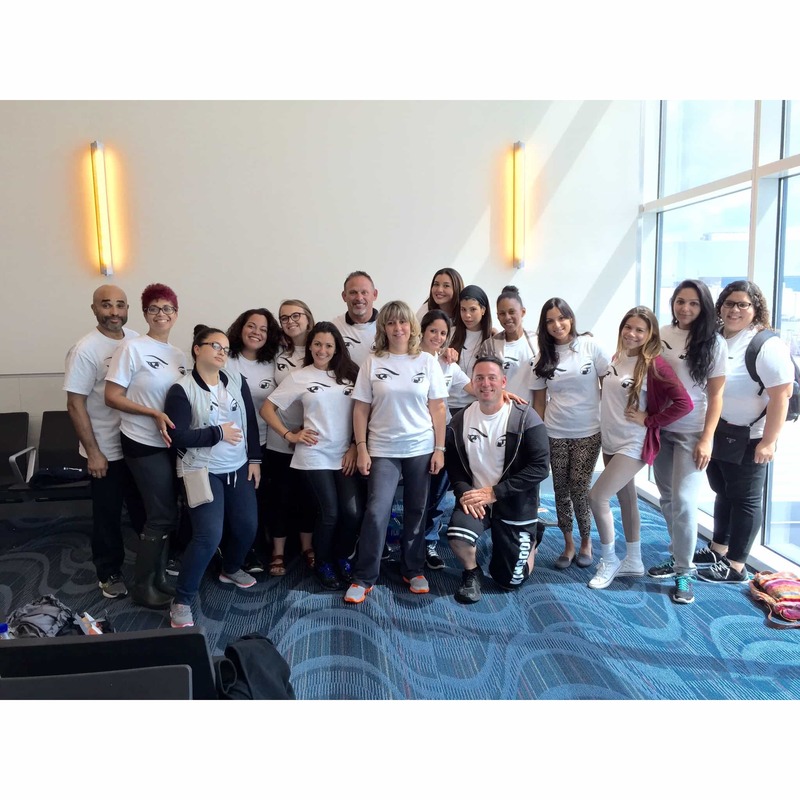 On the day that the photo below was taken, we were at Light of Future School #1 sharing a SKYPE videoconference with our KidPower2015 Ambassadors, Destiny and Annabelle, and some other KidPower2015 team members in Miami, Florida. The kids were able to say hello and watch each other making smoothies simultaneously on opposite sides of the world! 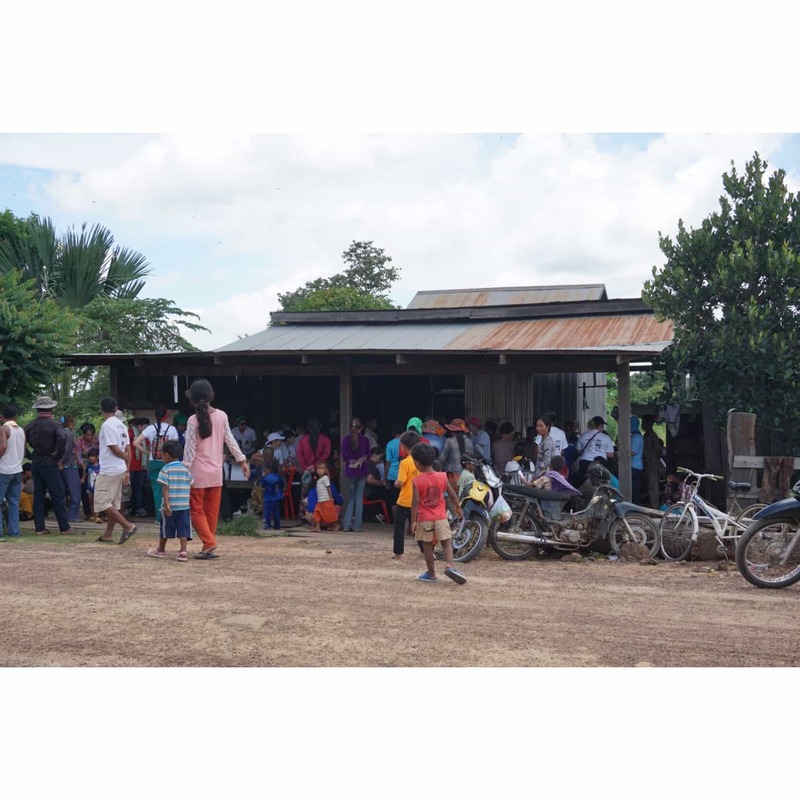 In Kratie Province, all of the children, their parents, and village leaders crowded around to learn about the bicycle generator. Everyone enjoyed the banana smoothies! We had so much fun. This KidPower2015 Bicycle Generator is staying behind with Cambodian Care Ministry to be used at all three Light of Future Schools as a STEM learning activity. Yesterday, we attended church service at Light Church. Light Church meets in the same structure where Light of Future School #1 conducts classes. Both Light of Future School #1 and Light Church opened in November 2014 in Tuolpongror, a small neighborhood of 500 people within Phnom Penh. 200 individuals attended church service yesterday. In the top portion of the picture above, the ten people who came forward to receive Christ were parents who had witnessed our team serving their children in our mobile medical clinic. As a result, they had come to church for the very first time. They had been invited by their children week after week to come to the church in their school building, but had never been moved to do so before. *God has more in store for those we serve than we expect for them. We are learning to trust God and move forward with what we have in expectation that He will meet us there. So excited about this update, Linda! Dear Paula: I had a hard time picking highlights out of all the amazing things that we are experiencing. 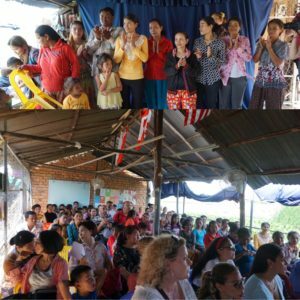 over JOYED with ALL that I’ve READ – God is truly AMAZING Pastor – EVERYONE on the MISSIONS TEAM are such BLESSINGS to Cambodia and the KINGDOM!! Thank you for your support and prayers, Martine! God is truly amazing. May God continue to bless you and all the work you and your team are doing. Thank you! God is truly amazing!